A family in South Milwaukee, Wi. contacted us through our website because of many incidents in their home. They had been experiencing what they believed to be paranormal activity since the day they moved in to their home, which was built in the early 1900's. 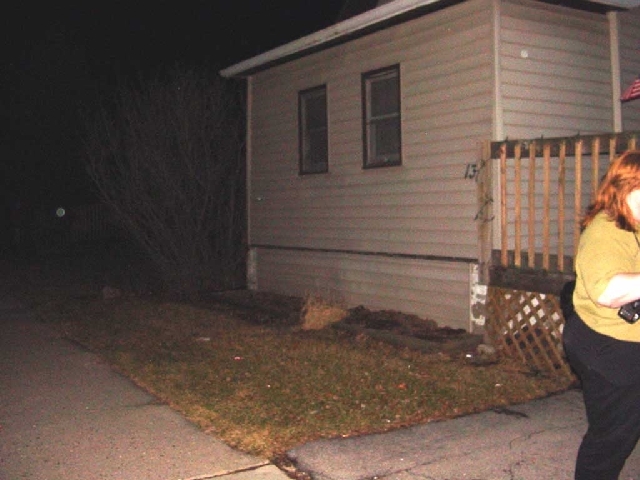 They sense a masculine presence in their basement, which when agitated, will move to the first floor, once the woman felt this entity lie on top of her on their second story. They report this presence to have a menacing feel to it at times, while at other times, they feel they are simply being watched. It seems that this masculine presence is calmed when people in the house sing. This family also reports a younger, female entity in the upper floors of their home. Once while asleep on the sofa in the living room, the husband reports, he was awoken by tugging on his clothing, which he thought to be their small daughter. He glimpsed the sight of a small blonde girl moving away from him. After this, he called out to their daughter and she did not respond, so he went to check her bedroom where she was sound asleep. The daughter reports items, such as toys and bedcovers, being moved while she is away at school. This family has heard things which have had no reasonable natural origin, such as footsteps where there is no one else in the house and a plastic garbage can being dragged across their basement floor. When first arriving at the home, we proceeded to do a walk of the grounds with the EMF meter. We found significant readings in both the basement where we were told all of the activity generates from and the both of the childrens bedrooms. The greatest concern seemed to be with the basement area, so we decided to set up a video camera and a motion detector in an area of the basement that, to this family, seems to be the most malevolent. While we were watching for any activity on a remote screen in the kitchen, the motion detector went off three seperate times. Soon after the third time the detector went off, we went to the basement to inspect. We found the motion detector, previously placed on a chair, on the floor, face down. When we went downstairs, we also took with us the family cat, who reacted as we were told it usually does, by meowing constantly, pulling it's ears back, and shaking. The family dog also reportedly has negative reactions to the basement area of the house. After resetting the equipment in a different location in the same room, we attempted to get some EVP by our typical questioning method. This resulted in nothing. Photos analyzed as yet show nothing. 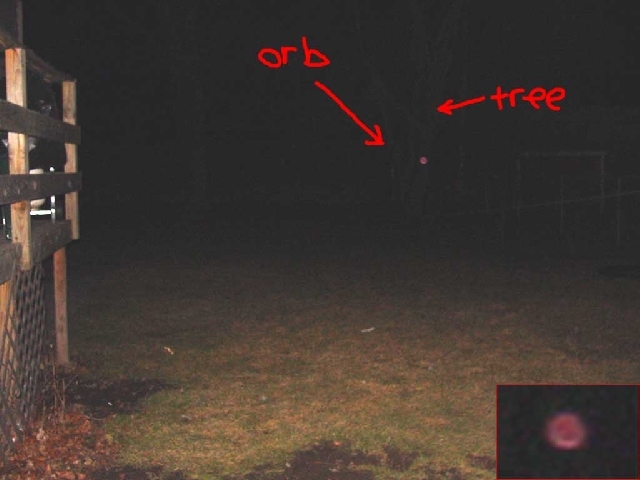 An interesting note: this family has recorded a very definite, bright orb on a very determined path in their basement. This lasts several seconds and is one of the most impressive orb this team has seen recorded. 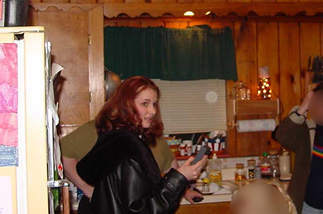 At different times, different team members took equipment around the house and observed different readings, ranging from none to unambiguous indicators of paranormal activity. Team members also report feeling cold spots in the home without an obvious natural source. After some time, the motion detector in the basement once again signaled activity when all who were in the house were upstairs. The wife and a guest member of our group went into this area and sang for some time, as this was reported to appease the entity. The premise here was that perhaps we could stir the possible entity to action. There was a time that, while watching them from the remote view in the kitchen, we saw some movement in a corner. After this, there was little else occurring, so we decided at that point to end the evening's investigation. We will analyze everything further and if there is information to report, we will post an update. Our team does strongly believe that there is some type of energy in this home. We have requested a second investigation of the home, but have not heard from the owners yet. We will keep you updated with any further happenings. Our second investigation of this residence showed an extreme rise in the amount of paranormal activity we caught on site. From the moment we walked through the door, things started to go crazy. We arrived at the home at approximately 9:00 p.m. We took our equipment out of our cases and the gauss meters immediately started up. The kitchen seemed to be the highest point of activity this day. The greatest amount of activity seemed to be centered in the middle of the kitchen. At one point, member, Ryan Skinner, took a photograph while the gauss meter was peaking. The activity remained strong and steady for the first 2 hours or so, then it completely stopped. At one point, the dog began barking and growling while he was outside. At that time, the owner stated that he does that quite often and stares into the backyard. We took our equipment outside to see what kind of readings we got out there. It was fairly quite according to our equipment, but when we looked at the photo's we got, they told a whole other story. (outside photo 1) (outside photo 2) , both photo's were taken by member, Ryan Skinner. During the third investigation, we brought in Psychic, Paul Hutto, at the request of the owners to tell them a little more about what they are experiencing and how to deal with their situation. Paul proceeded to tell the family that in one specific room in the house, there is an open portal that needs to be closed. He picked up the energy of a irritable woman who was living in the basement. He also told us about a small child's spirit who is very timid who lives in the house. He explained to the family what they needed to do to send these spirts on their way and to "CLEAN" their house of spirits.